The PEN Ten is PEN America’s weekly interview series. 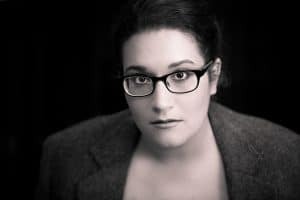 This week we speak to Carmen Maria Machado, whose short story collection, Her Body and Other Parties, was a 2017 National Book Award finalist in the fiction category. Machado will participate in PEN Out Loud: Reclaiming Our Time on December 11 at the Strand Book Store. When I realized that the way that I perceived the world—the way I read, the way I looked at and listened to things, the way I parsed information, the way I processed ideas—had been altered by my artistic practice. I mean, no one, but if I could magically absorb someone’s writerly essence (without taking it away from them), it’d be Alice Sola Kim. Cocktails, natural science, horror, the woods, the ocean, haunted houses, taxidermy. A cabin or cottage-type space, in the wilderness, in the early morning. To write the stories she wants and needs to see in the world. I think all writers should be lifting back the skin of the world to show the rest of us what’s pulsing underneath. Government censorship is never acceptable. Private organizations have the right to dictate what sorts of ideas they want to host or sponsor, and should be held accountable for those decisions. One is the practice of any good artist; the other is systemic and invasive. Claudia Rankine’s Citizen: An American Lyric.